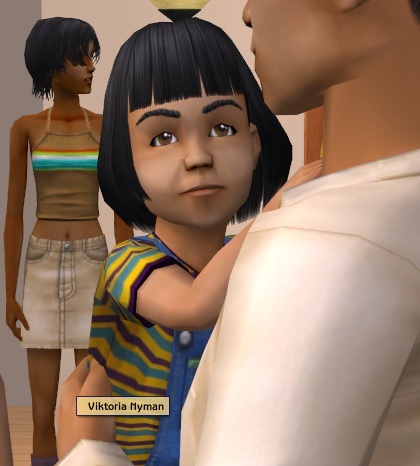 Viktoria was born as generation 4, daughter of Stina (Benett) Nyman and Gert Nyman. She's got black hair and light blue eyes with a dark skin tone. Her aspiration is Family and her LTW is to become Education Minister. Her turn-ons are blonds and swimwear, turn off is charisma. Yet another interesting face. 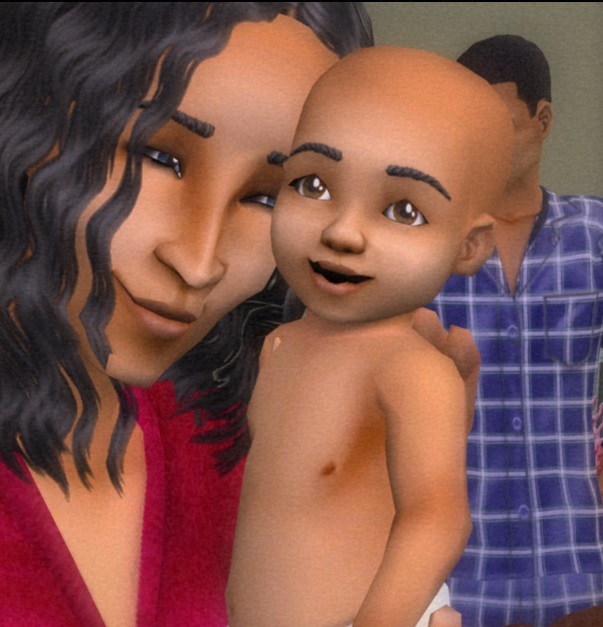 It's quite interesting actually to see how different their faces can get after a couple of generations, since you (mostly) have played this hoood with sims with template-faces.